These 5"x5" blocks blocks are soft to the touch and easy to grab which will help develop eye-hand coordination skills. 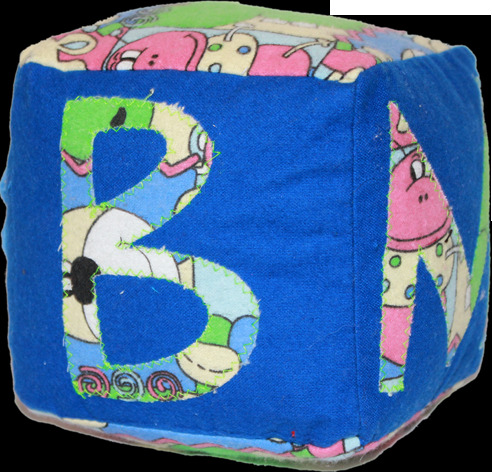 This block is made of dark blue and zoo animal print flannel with the letters "B", "M", and "C" sewn on. These blocks can grow with your boy and are suitable to be used as a throwing toy which will not break and should not hurt anything or anyone.